They dated for many years leading up to the proposal. Alex wasn’t sure how he wanted to propose, but he envisioned planning the perfect date in downtown, Chicago. They went to dinner, then a movie, and perhaps the moment never happened in Chicago, because it got late and the December night was cold. After the movie let out, Kathleen was in more of a rush to find their car in the parking garage. Alex hesitated getting to the car as fast, because he envisioned proposing downtown under the stars. They reached the car, turned up the heat, and drove home. As Alex walked Kathleen up to her door, she turned around to see her future husband on one knee. She had no idea he had spent the night trying to find the perfect time to propose. Not wanting to go home until he asked his love to marry him, he found the perfect moment just before saying good night. 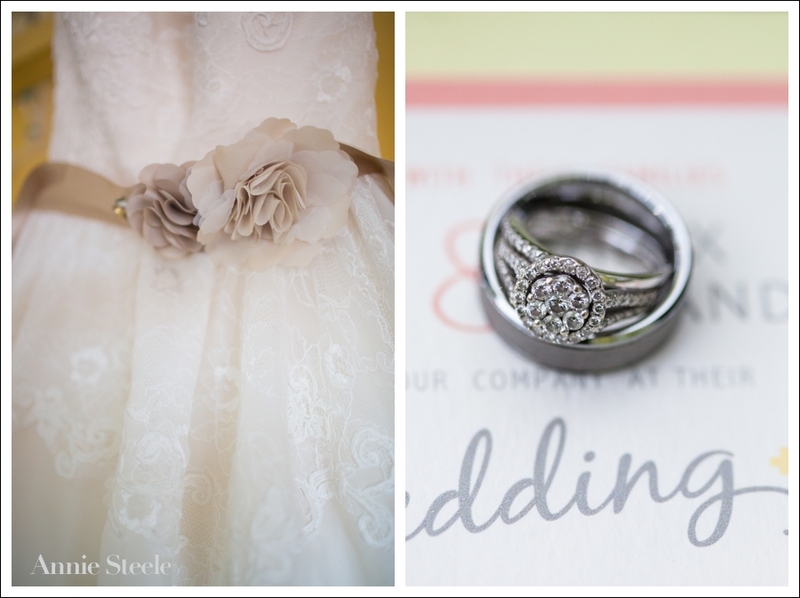 She of course said, Yes, and for the past year they have been planning the most perfect Wedding Day. I hope you enjoy some of my favorites! 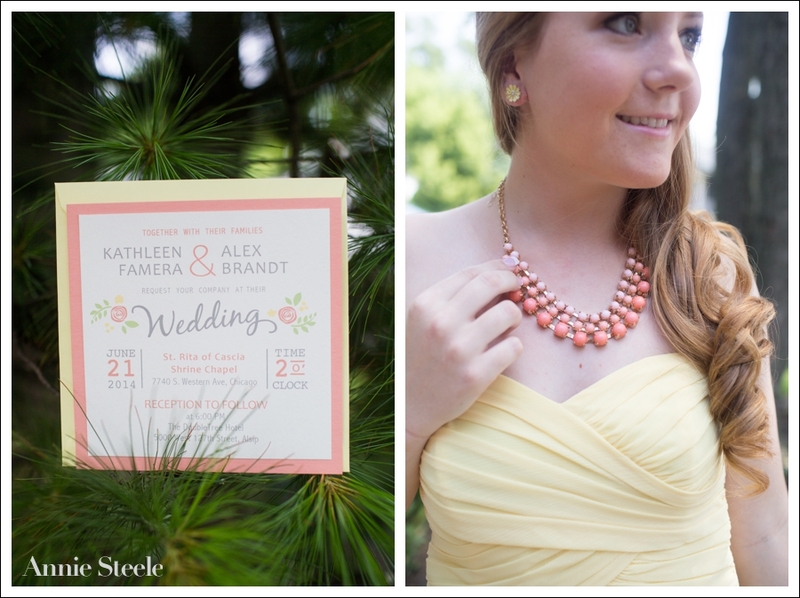 Soft yellows and corals were the perfect summer colors! 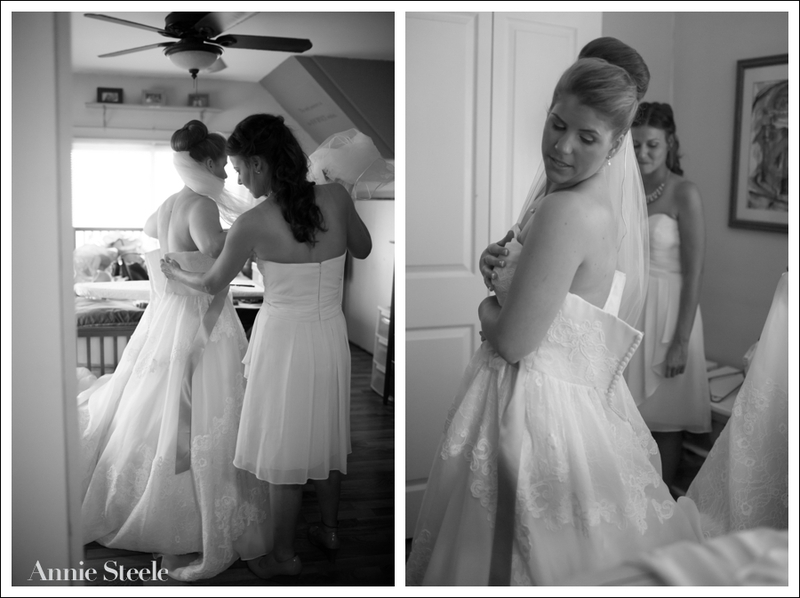 All her Bridesmaids excitedly watched as she was buttoned in to her dress… becoming a Bride! I’ll end with this because this sums up the rest of their night… a huge celebration of some awesome dancing moves… and LOVE. Many Thanks to the Creative Teams that made this day so, so pretty!